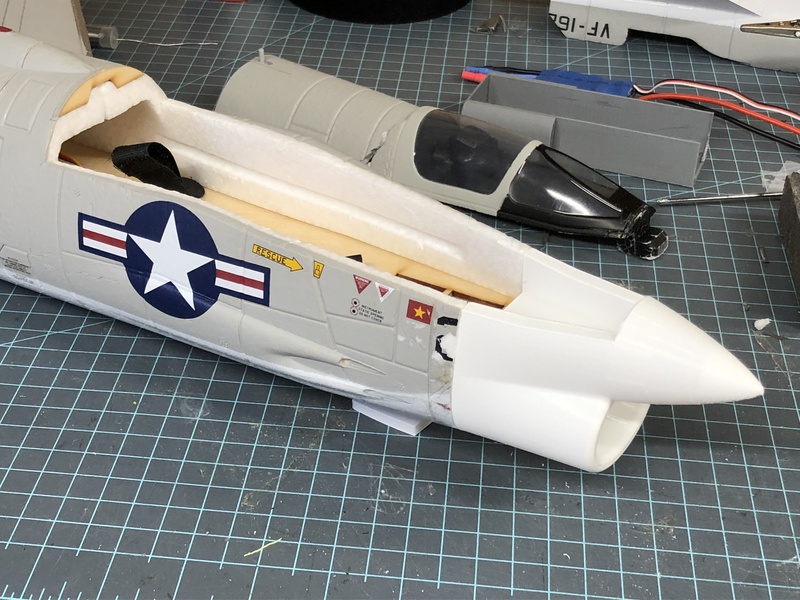 For those of you unfortunate enough to crash your Freewing F-8 Crusader (battery died), I have created a new nose replacement. It can be downloaded from Thingiverse, and you may also want to watch my youtube video of the repair and flight afterward. What software did you use for the modeling? Fusion 360 to design, and Simplify3D for the output.